Vacations offer the exciting chance to immerse yourself in the culture and history of a place you’ve never been. City destinations across the world offer an abundance of attractions and can make for the ultimate travel experience. The following list includes five cities with varied cultural, historical, and gastronomical highlights to fulfill the strongest inklings of wanderlust for every type of traveler. With its winding medieval streets and burgeoning local cuisine, Edinburgh is a city that has something for everyone. The city is known as the birthplace of Harry Potter, and the city’s dramatic architecture is a clear inspiration for much of the series’ imagery. Edinburgh boasts a growing craft beer and gin scene and continues to be a top destination for whiskey connoisseurs. Scottish food is having a renaissance moment, with many chefs embracing the abundance of local game and seafood available in the country. During the month of August, the entire city turns into a stage for multiple concurrent arts festivals. Over a thousand shows run throughout the month, and include performing arts, comedy, music, and visual arts selections by companies and performers from across the world. This compact 16th century city is packed full with historical monuments, leaving visitors to the Maltese capital with the feeling that they truly have stepped back in time. Valletta is the European Capital of Culture in 2018 and has a rigorous program of performances and events planned for the year. The city is home to an open-air theatre and a new national art gallery called MUZA. Sitting dramatically on the cliffs where the island meets the Mediterranean Sea, Valletta is home to a restaurant scene that offers a unique mix of various Mediterranean cuisines. The Upper Barrakka Gardens provide stunning views of the harbor and are a serene but popular meeting place for locals and tourists alike. A quick 15-minute trip from Valletta, the Hal Saflieni Hypogeum is a fascinating Neolithic underground structure that is believed to have been a sanctuary and necropolis in ancient times. Culture vultures flock to the increasingly popular mega-city of Mexico City for its 150 museums and distinct colonias, or districts. Museo Frida Kahlo was once the home of the renowned artist, and today brings countless visitors to the property to learn more about the artist’s life and works. The Museo Soumaya, with its gravity-defying architecture, houses one of the most prestigious private collections of artworks in the world. The city also houses countless leafy green parks, with the Parque Chapultepec topping the list of must-see urban green spaces. Similar to Central Park in New York, the Parque Chapultepec includes multiple museums and a zoo within its scenic grounds. Known as the “Paris of the East”, Shanghai is the perfect blend of luxury, innovation, and history. Despite its density, the city is surprisingly green and offers plentiful urban oases such as the People’s Park and Century Park. Yu Garden features five acres of Ming dynasty pavilions set amongst meandering paths, bridges, and ponds. The architecture of the city is a contrast of old and new; the iconic Longhua Temple is a reconstruction of a 3rd century Buddhist temple while the Nanpu Bridge is a modern engineering marvel. Visitors to Shanghai will also find plentiful cultural offerings, from mainstream contemporary art at the Museum of Contemporary Art Shanghai to the up-and-coming galleries of the M50 Art Industry Park. The city’s cuisine is another form of artistry in itself, with the region’s intricately handcrafted soup dumplings, or xiaolongbao, topping the list of must-eat local favorites. The Big Easy celebrates its 300th year anniversary in 2018, drawing lively crowds to New Orleans to celebrate the city’s resilience. Foodies have long gathered in the city for world-renowned Creole cuisine. 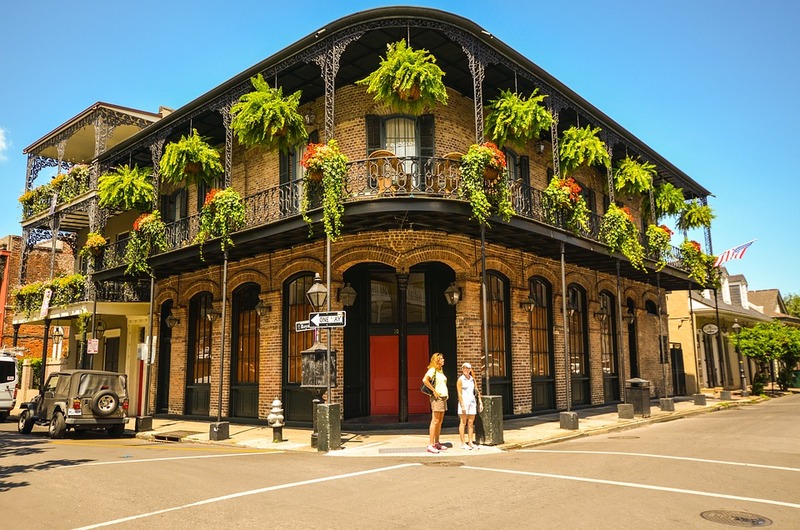 Numerous festivals take place in New Orleans throughout the year, including the French Quarter Festival, a four-day celebration of jazz music and food, and a Jazz Fest that brings hundreds of musicians to play for the city from April 27th to May 6th. New Orleans also hosts a variety of kid-friendly attractions such as the Audubon Zoo, Audubon Butterfly Garden and Insectarium, and the Aquarium of the Americas.